This site was researched and written by Dian McNaught. The house was built in 1832 by Benjamin Tasker Chinn, a fourth generation descendant of Robert "King" Carter. It is located 2 miles south of the Manassas Civil War battlefields. The two-story Federal style house is built of locally-quarried red sandstone, and was originally covered with stucco scored to resemble large stones. 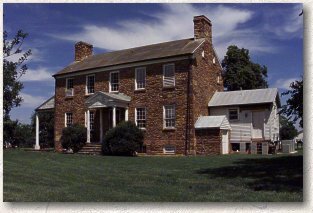 The manor house was named for a Randolph estate in Goochland County Virginia, also named Ben Lomond. 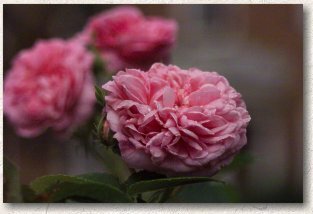 Webmaster's note: This site has not been updated since 2002 and I have lost track of the author's address and contact info. Rather than continuing to pay for hosting service and domain costs, I have decided to move the site under my history pages. My thanks to Dian for all the research and her efforts. I hope she will allow me to continue to offer these pages to you in this new location.